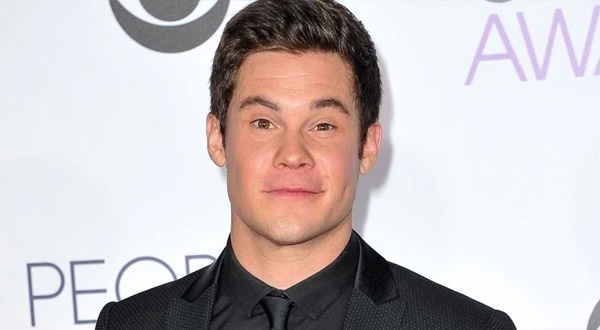 Adam DeVine, born as Adam Patrick DeVine, is an actor, comedian, singer, screenwriter, and producer based in America. The actor is famous for playing the role of Adam DeMamp in Comedy Central’s television series Workaholics from 2011 to 2017. Besides, he has acted in various movies like Neighbors, The Intern, The Final Girls, Mike and Dave Need Wedding Dates, and so on. Moreover, Adam has also worked as a voice actor in films like Ice Age: Collision Course, The Lego Batman Movie, etc. 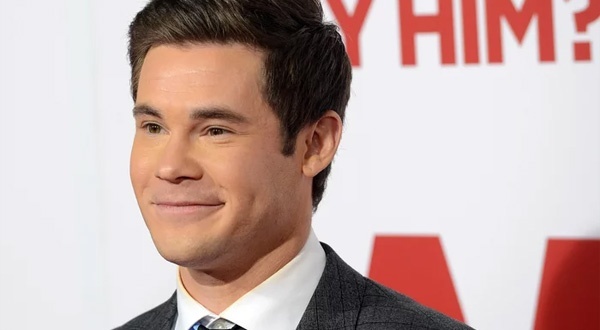 Adam DeVine was born on 7th November, 1983 to Dennis and Penny DeVine. The actor completed his high school from Millard South High School in year 2002. Later, the actor enrolled at Orange Coast College, and subsequently, he moved to Los Angeles and started working as a standup comedian and actor. In year 1995, at the age of 11, Adam had an accident where a 42 ton cement truck hit him. He was hit badly, and had an acute shock which made him to stay in coma. Adam woke up 2 weeks later, yet had all legs’ bones broken and a collapsed lung. Adam went through different 26 operations for years. The actor overcame all the pains of his accident, but still has scars left in his body. Adam DeVine made his television debut as Steve Wolfs / Steve Jobs in Crossbows & Mustaches in 2006. He played the role for 10 episodes, and also was the co-creator, writer, and executive producer of the series. Later, Adam did his movie debut through film Mama’s Boy in year 2007. In the film he portrayed the role of Alhorn. DeVine, then, appeared as Chris in Savage Steve Holland’s film Ratko: The Dictator’s Son in year 2009. In the same year, the actor had small roles in TV series; Better Off Ted, and Samantha Who? Eventually in 2011, Adam DeVine appeared as Ephor 1 in film, National Lampoon’s 301: The Legend of Awesomest Maximus. Besides, he had a minor role of Tobey in an episode of Traffic Light entitled “Stealth Bomber”. Further, DeVine portrayed Adam DeMamp in Comedy Central’s TV series Workaholics. He played the role from 2011 to 2017, and also had worked as a co-creator, writer, and executive producer of the series. He earned good sum of money through this series which raised his net worth. 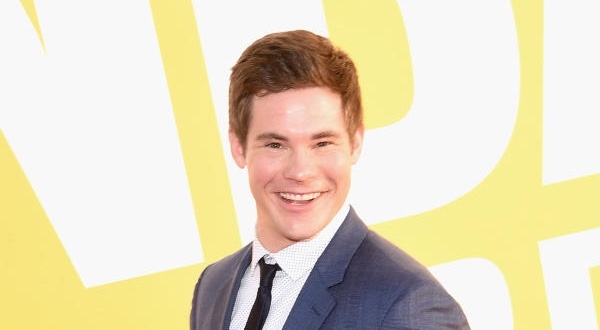 In the year 2012, Adam DeVine starred as Bumper Allen in film Pitch Perfect. The following year, the actor had minor roles in TV series, Community, Arrested Development, Comedy Bang! Bang!, Super Fun Night. Besides, he played the role of Andy Bailey for 21 episodes in ABC’s TV sitcom Modern Family. Furthermore, he worked as voice actor and voiced Pizza Steve / Henry / and other characters in Uncle Grandpa. Subsequently, Adam appeared in films like Pitch Perfect 2 (2015), The Intern (2016), Mike and Dave Need Wedding Dates (2016), etc. The last year, he lent his voice for Barry Allen / The Flash in The Lego Batman Movie. Recently, Adam DeVine appeared as Noah Ashby in An Sandel’s film When We First Met. Further, the actor will be seen as Alexxx, and Andy in two new upcoming films Game Over, Man! and Magic Camp respectively. He too is working for his new films Isn’t It Romantic. Moreover, he is playing in Adam DeVine’s House Party since 2013. Adam DeVine had a very bad life in his early days. However, the actor fought with his problems, and has established himself as one of a successful actor. He has acted in number of films, and television series which have provided him with net worth of $3.5 million U.S. dollars. He has left a lot to do, and we hope his net worth will increase in coming days.